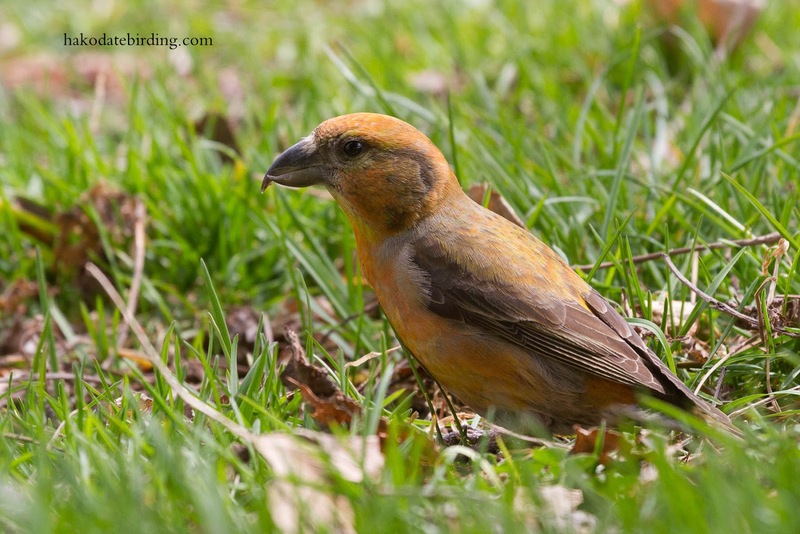 There were 3 Crossbill in the small park near my apartment, 2 males and a female. 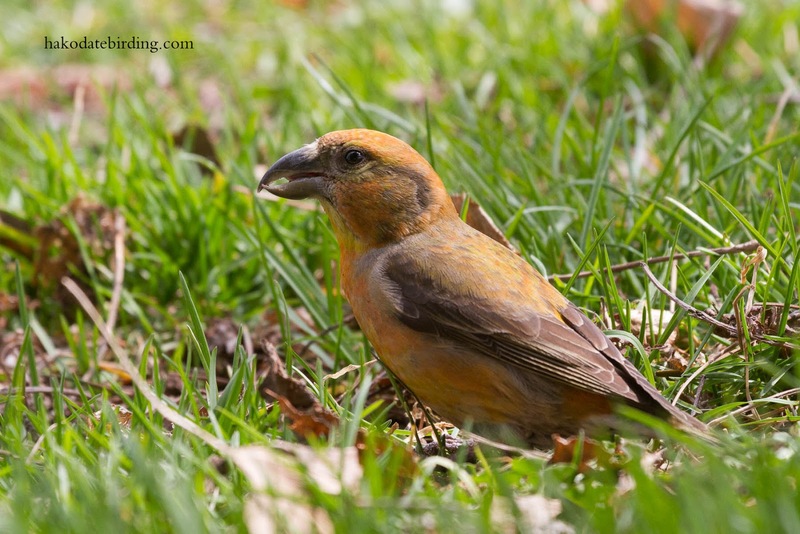 This male was tamer than the others and was a washed out looking young bird (the other male was bright red). 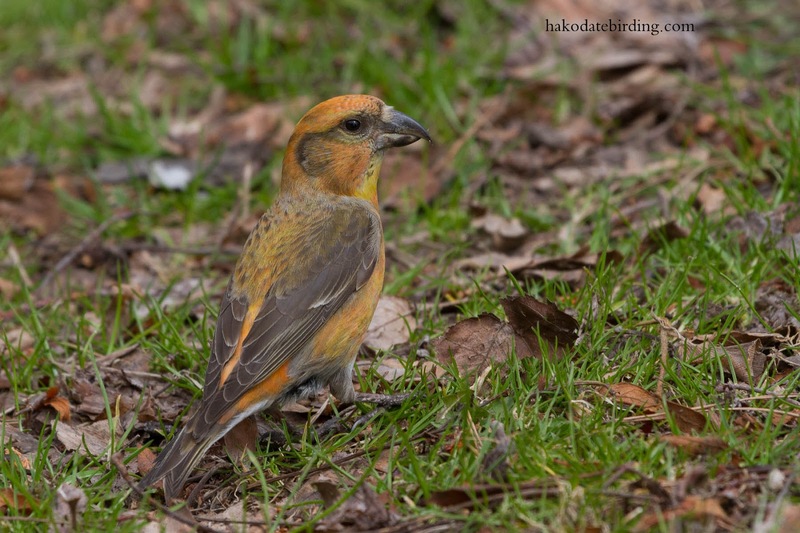 Hawfinch and Dusky Thrush still around and some common stuff passing through: Japanese Bush Warbler, Black Faced Bunting, Long tailed Rosefinch and Bullheaded Shrike. No Red Flanked Bluetail though................that was the target of my short stroll. 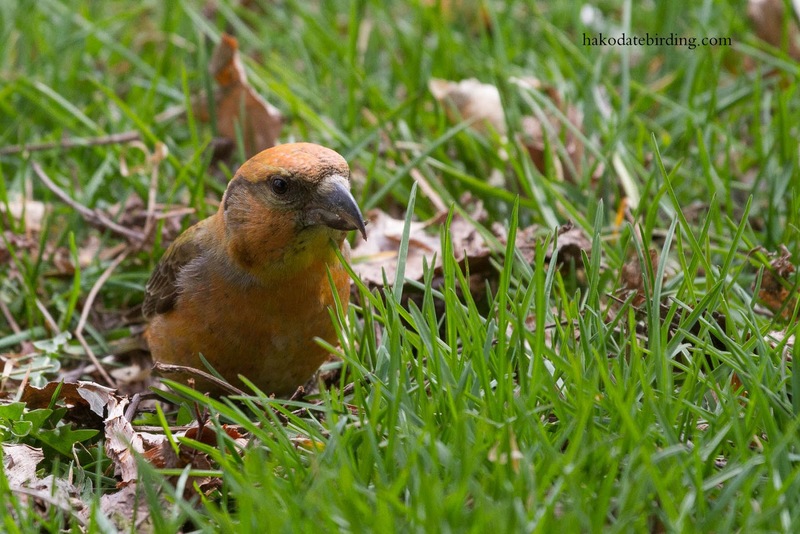 Nice to see the Crossbills still here though. So they put Moyes out of his misery then. Such pretty markings. Love the last shot! Thanks for the comment Karen, yes they are one of my favoruite birds. Great - loved the Scoter flight shots from last time too. The commentariat in the English Newspapers are piling into D. Moyes…. let's see how things go next season for MUFC, with a new "chosen one" to replace him. I hope the next one is just as entertainingly bad (for us non Man U fans).